Get up close and personal with Niagara Falls aboard Hornblower Niagara Cruises. Experience the thundering Falls and its surrounding natural elements of the famous Niagara Gorge aboard a 700-passenger catamaran boat. Hornblower Niagara Cruises presents a whole new way to foster education inside and outside of the classroom. Discover the history, geology, and ecology of Niagara Falls and its surrounding areas both on and off our boats. 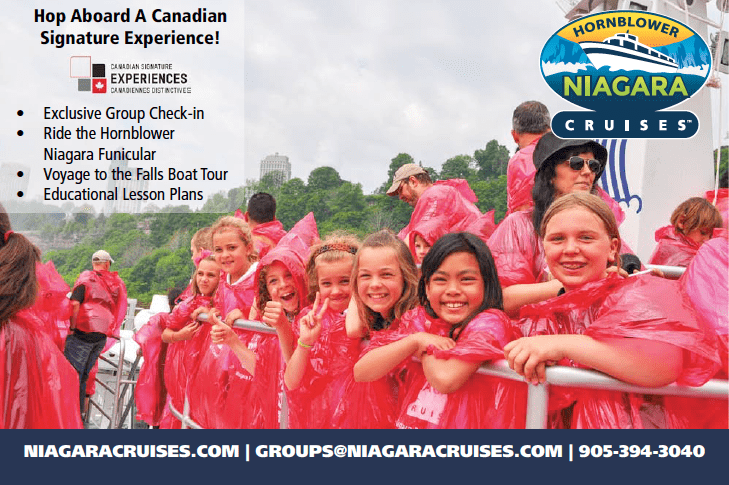 Perfect for School and Youth Groups of all ages – let your group enrich their studies and skills after reviewing our Educational Program and taking a field trip to Hornblower Niagara Cruises – Canada’s most iconic experience!